Forget proposing in front of the Eiffel Tower in Paris or on the canals of Venice - just use your trusty livestock on the farm! 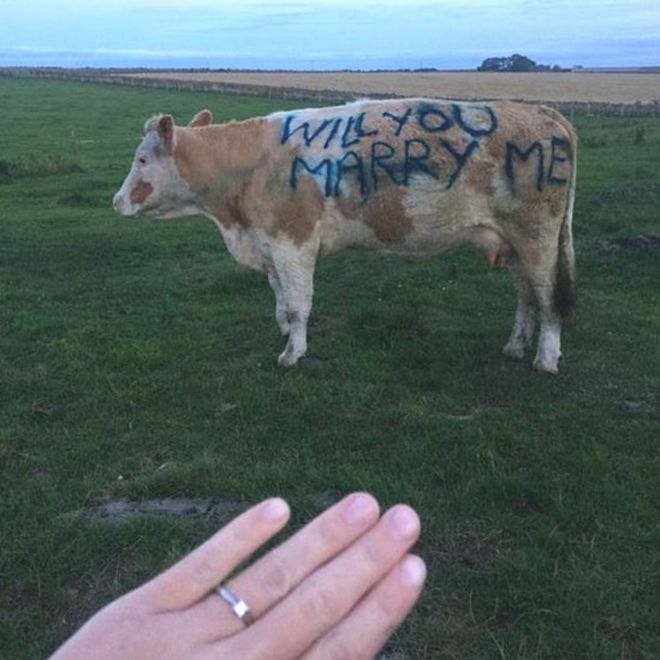 Scottish farmer Chris Gospel from Strichen in Aberdeenshire popped the question to girlfriend Eilidh Fraser by using livestock marker on her favourite cow Curlytop. But the couple will have to check the rules of their wedding venue to see if Curlytop can make an appearance on their special day. Mr Gospel, 30, said: "Curlytop is Eilidh’s favourite cow. 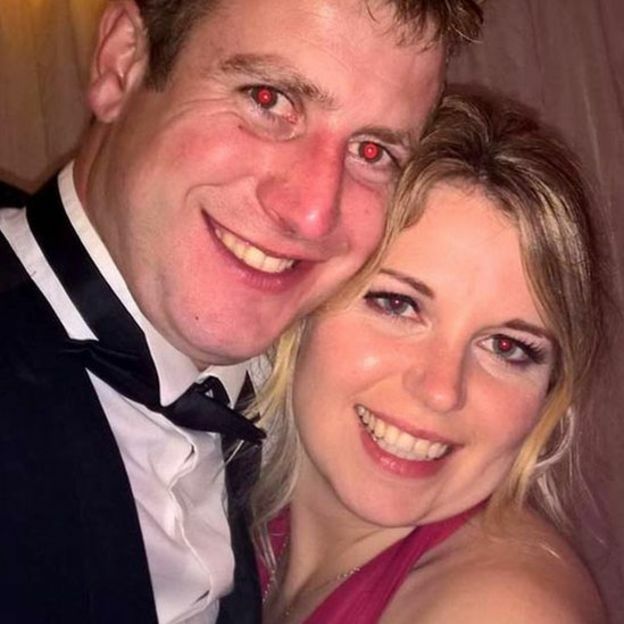 "She is around the cows most nights so I managed to write the proposal, and then said we should go down and see her after she got back from work. "Eilidh turned round and I went down on one knee - and she said yes." His new 30-year-old laboratory worker fiancee - who hand-fed Curlytop and described her as being affectionate ever since - said the proposal came as a "complete surprise".